‘EXCLUSIVE: Car park junkie den metres from Parliament’ screams the front page of Melbourne’s Herald Sun (September 19). Following the tone set by the headline, the article opens with: ‘Heroin junkies are brazenly shooting up in a CBD carpark just metres from Parliament House’ accompanied by pictures of two men, who are reportedly living in a multi-story carpark. The front page leads into a two-page spread, dominated by images of the men preparing and injecting heroin and accounts of car park customers feeling confronted by the presence of people who are homeless. The spread also includes an article on Melbourne’s ‘rough sleeping crisis’, citing the work of homelessness services and the need for a ‘national strategy’. There are no significant concerns with the coverage provided by that article, but that article occupies only 20% of the two-page spread and any contribution it makes to informing public discussion of the impacts of Melbourne’s affordable housing crisis on vulnerable community members is overwhelmed by the highly stigmatising ‘junkie den’ images and coverage. The remaining 80% of the spread provides no consideration of the reasons why the two men had chosen the relative security of a well-lit, above street-level location to seek shelter, nor the reasons for their homelessness. There is no consideration of the needs of these men, nor how they might be assisted. Instead, they are framed purely as a community safety risk and source of potential contagion, with the presence of used injecting equipment and human excrement featuring prominently. The article also features a map of ‘significant CBD sites’, to which the presence of two homeless men is presented as posing some undefined existential threat. The focus on the men’s ‘den’ to the Victorian Parliament appears to imply a lack of attention to political leaders, either to homelessness in the CBD, or public safety, but no politicians are cited in the article and any call to action (presumably involving the removal of the men) remains implicit. As Alex Wodak has noted previously for AOD Media Watch, such stigmatising, dehumanising reporting only perpetuates the marginalisation of already isolated and vulnerable people. 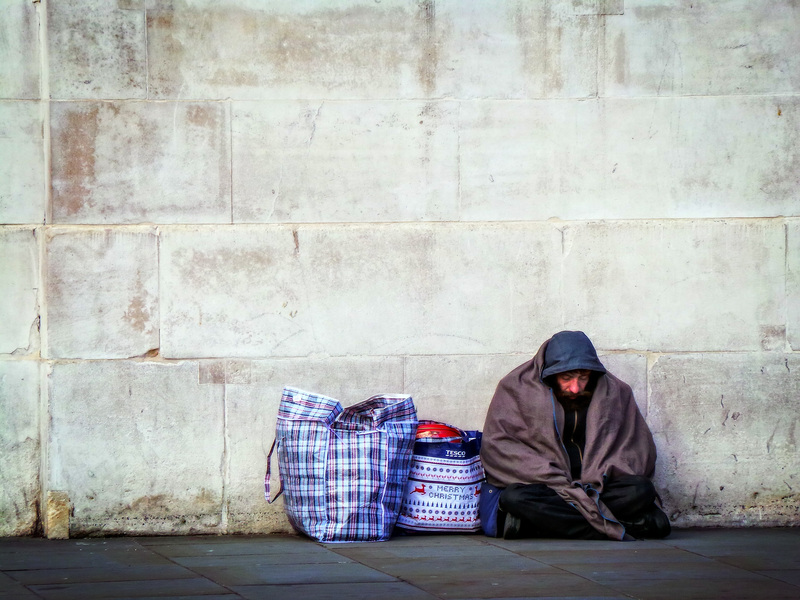 In this case, it also derails any opportunity to have a considered discussion of the factors contributing to homelessness, its impacts on those affected and what can be done about it. While people who are homeless are only portrayed in terms of perjorative stereotypes, they continue to be excluded from public debate. They are not portrayed as human beings, with needs and frailties like the rest of us, but as something unsightly and inconvenient, to be moved on so the rest of us can get back to not considering the impacts of inequality within our communities, and what it might mean for us if we ever fall on hard times. Our major media outlets play a significant role in framing public discussion of social issues. They have a responsibility to provide balanced reporting to highlight issues of social concern and possible courses of action. ‘Car park junkie den’ only serves to demonise already clearly vulnerable people. The journalist from the Herald Sun was contacted for comment but did not respond. Featured image by Gary Knight (CC BY 2.0).